The newest Awingu 3.6 release allows users to deploy the unified, browser-based workspace on legacy Citrix environments. NEW YORK CITY — October 24, 2017 — Awingu, the unified, browser-based workspace, today announced enhanced workspace deployment on top of existing Citrix XenApp or XenDesktop environments by building on the common Remote Desktop Protocol (RDP) layer, a Skype 4 Business integration, and enhanced security and compliance. The new release allows customers running on both older and newer versions of XenApp or XenDesktop to quickly and easily access desktops using Awingu’s browser-based workspace. 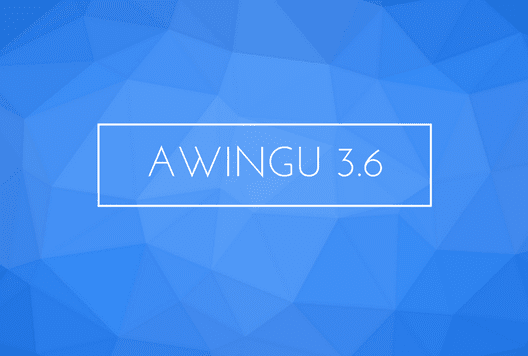 Awingu empowers users to work and collaborate from virtually anywhere using any HTML5 browser-capable device. The update also introduces a new Skype for Business Integration that enables users to take Awingu’s session and file sharing capability one step further, and share links immediately to contacts on Skype for Business or via Awingu’s existing URL copy. In addition, Awingu has added enhanced security and compliance features that enable users to launch a 30-day browser trust for Multi-Factor Authentication. Awingu already offered a built-in “one-time password” solution as well as numerous integrations with commercial MFA packages such as Azure MFA and Duo Security. “We really want to stimulate businesses to adopt MFA. By introducing an optional “30-day browser trust” we want to further stimulate adoption.” said Walter Van Uytven. As a turnkey, cloud-based solution, Awingu brings the ease and convenience of platform agnostic mobility to the enterprise, and delivers everything you need — legacy and cloud apps, documents, and data — to stay productive. It requires zero configuration and zero client software installation, making IT administration a breeze. Awingu is a unified, browser-based workspace. It empowers users to work and collaborate from virtually anywhere using any HTML5 browser-capable device. As a turnkey, cloud-based solution, Awingu brings the ease and convenience of platform agnostic mobility to the enterprise, and delivers everything you need — legacy and cloud apps, documents, and data — to stay productive. It requires zero configuration and zero client software installation, making IT administration a breeze. Awingu is headquartered in Ghent, Belgium with offices in the US. Learn more at www.awingu.com.